Copr. © 2011 eNewsChannels™ and Susan Blake Davis. This article may not be reprinted or published without the author's consent and is copyrighted. When your veterinarian recommends a prescription diet for your pet, it is because your pet has a health condition that requires dietary modification. What is a pet prescription diet? A prescription diet is a commercially prepared food scientifically formulated to address a specific health condition. For example, a kidney diet has reduced protein and phosphorous. When pets are diagnosed with various health conditions, dietary modification can make a significant impact on their health and well-being. The adage “you are what you eat” holds true. There is an important point of clarification however. Yes-- your pet needs to follow a diet based on a scientific formulary prescribing specific nutritional requirements (e.g. low fat, high fiber, low sodium). But, what is often misunderstood however, is that the only option for achieving this dietary formulary is by using commercially prepared prescription food. In other words, just because your pet needs a low fat, high fiber diet doesn’t mean that there is only one way to serve it using a canned or dry commercially prepared “prescription food”. There are homemade and combined homemade/commercial alternatives and it is important for you to know your options so that you can make an informed decision about what is best for your pet. Yes and No—The reason your pet needs to be on a prescription diet is because it is a “prescription” regarding various food groups such as fats, protein and carbohydrates as well as the vitamin and mineral content. For example, pets with kidney disease need a diet low in phosphorous. So—yes, if your veterinarian has diagnosed a disease, you should follow the vet’s prescription regarding your pet’s nutritional needs . However, this doesn’t mean that the only food choice is the dry and canned food commercial options available at your veterinarian’s office. You can prepare a homemade option or use a combination of homemade with raw frozen food or other commercial foods, but the point is that whatever you feed, it needs to meet the nutritional needs set forth in the prescription! It would be difficult for the average pet owner to figure out the appropriate dietary alternatives for their pet within the confines of the “prescribed guidelines” In fact, there is a risk that if you are doing a lot of food combining on your own, you may end up doing more harm than good. It is quite common for pet owners to use the prescription commercial food all the while adding in miscellaneous treats and table scraps, thereby defeating the whole purpose. The point here is that there are natural, homemade and alternative ways to give your pet a “prescription” diet beyond the commercial prescription foods but it is highly recommended that you seek out the advice of a pet nutritionist or holistic veterinarian to ensure the diet meets the nutritional needs of your pet. Not necessarily---Not unless all of your pets have the same health problems and require the same prescription diet. 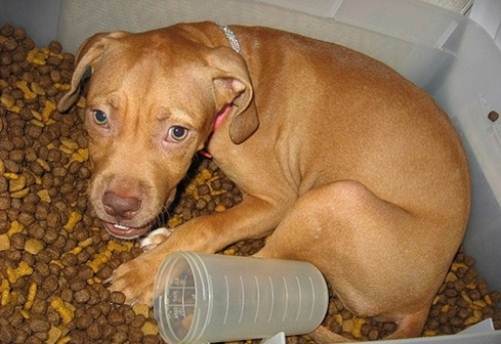 In multiple pet households, it is quite common for pet owners to feed the same food to all of their pets. Would you give the same medication to all of your pets too? Prescription diets are a dietary formulary that restrict certain ingredients—this might be advantageous for the pet for whom the diet is prescribed, but not for other pets. For example, a pet owner may have a senior cat and a 2 year old cat. A young cat needs a high protein, high fat diet. If a young cat is fed a prescription kidney diet, the cat may experience muscle atrophy and other health problems associated with a low protein diet. This is again, why it is so important to either consult with a pet nutritionist or holistic veterinarian or ensure that each pet is only eating the food that is designated for them. Not necessarily—When pets have multiple health issues occurring, commercial pet food options are not nearly as successful. For example, a dog may have severe allergies and liver disease. There is no one “magic” formula a vet can prescribe to address multiple health problems. The commercially prescribed liver diets may be lower in fat and liver-friendly, but will most likely contain grains which the pet could be allergic to. And even when a pet is using a commercially prepared prescription diet for one health condition, another one may develop in the process. For example, pets that are prone to bladder stones may use a prescription diet to prevent the bladder stones but then develop hot spots and itching. if your pet has multiple health conditions, using a custom-tailored diet specifically designed for your pet by a holistic veterinarian or pet nutritionist is a more beneficial approach. When your pet is diagnosed with a particular health condition, you want to do what’s best to help. Diet clearly has an impact but there are many ways to approach your pet’s health problem. The important point is to know that there are options.